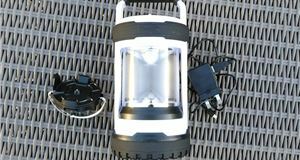 Campingaz Portable Isobutane Campingaz Bistro Camping Stove. 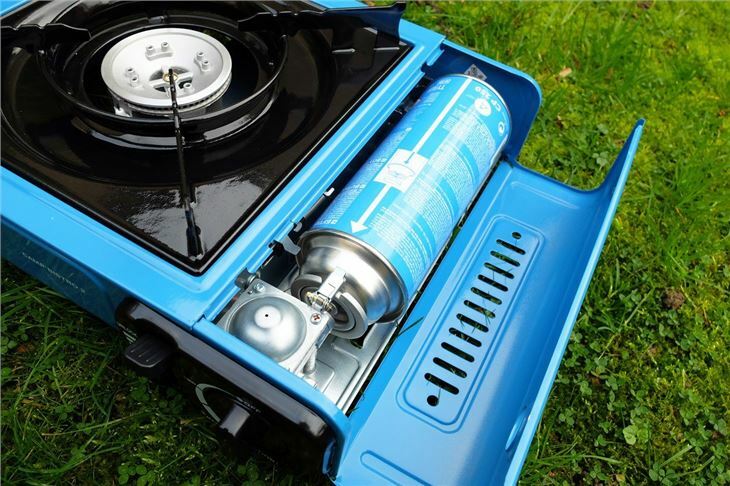 A simple one burner stove, the Campingaz Camp Bistro 2 comes with its own plastic carry case and includes piezo ignition (no matches needed here) and a gas cartridge safety locking system to ensure the gas canister is fitted correctly every time. It doesn't come with any gas included but you can get CP250 cartridges reasonably cheap on Amazon or from camping supply shops. 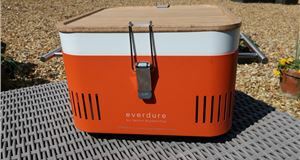 Aimed more at occasional campers rather than backpackers, it's not the smallest single burner around but it does have an enamelled pan support designed to be easy to clean and provide stable support for pans and kettles. 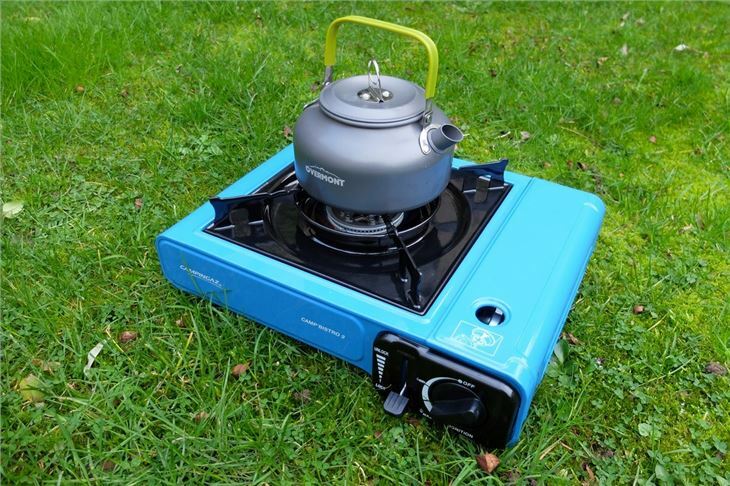 It's also ideal if you want a small stove in a garage or shed to make the odd cup of tea. 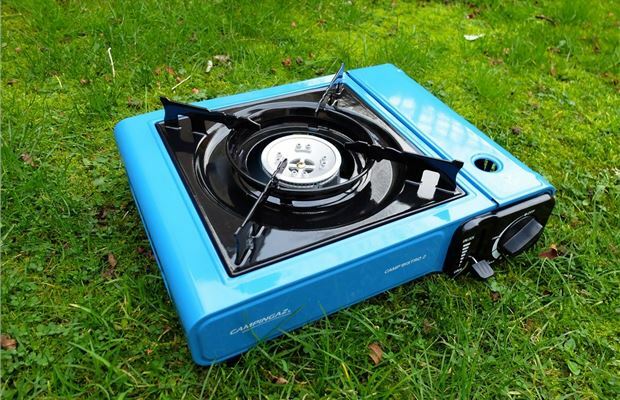 If you're looking for a camping stove, you can't have failed to see the Bistro 2. It's pretty much the default for starter camping stoves and it's very easy to set up, even if you're a complete novice. You simply flip open the side compartment of the metal base and slot the gas canister in (once you've removed the lid). There's a small slot in the collar of the canister which you line up with the locking system and simply slide the lever down. It means there's no way of incorrectly fitting the gas canister. Turn the dial on the front and the Bistro 2 clicks into life immediately. The flame is even around the gas ring and there's plenty of adjustment too, so you can make small changes to the cooking temperature. 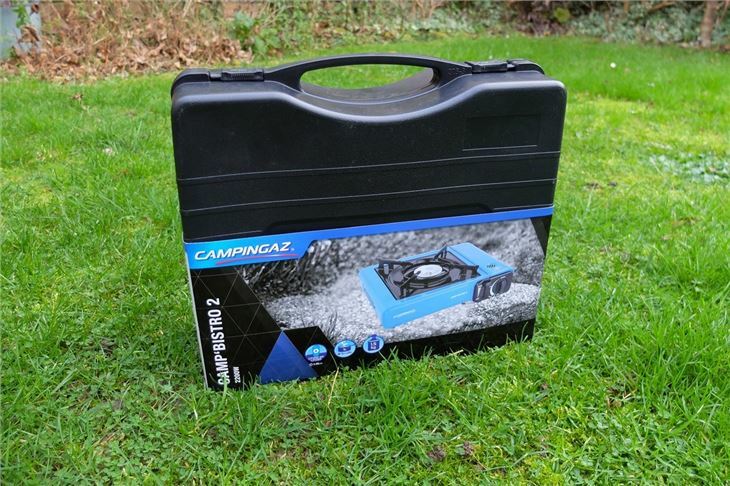 Campingaz says the maximum power is 2200W and it's certainly impressive when it comes to heating a standard camping saucepan or kettle. The official boil time is five and a half minutes but when we tested it with our Overmont kettle with enough water for two decent mugs of tea, it boiled 20 seconds quicker than that. Even more impressive given it was a very cold day with the ground temperature less than 5C. The rectangular metal base (it's about 30cm wide) means the Bistro 2 is sturdy and, unlike many single burners, there's no chance of it falling over. It can take a pan up to 26cm and the enamelled pan support feels solid and durable. It's certainly something you can cook on with confidence. One downside is that there's no flip up guard or cover. It means that any gust of wind can blow the flame out, so it's best used in a sheltered area. Obviously, it's not as small as burners designed for backpackers, but it's not heavy, weighing less than 1.5kg. 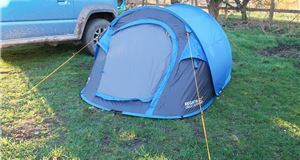 The Bistro 2 comes in a plastic case which isn't the most robust but does the job and is easy to slot in amongst other camping gear. 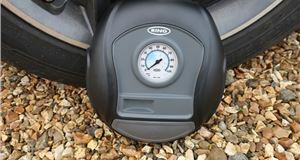 It's cleverly designed to unlock the gas canister so you can't leave it in there - and accidentally turn the gas on when it's stored away. You should always store the gas canister separately from the stove. 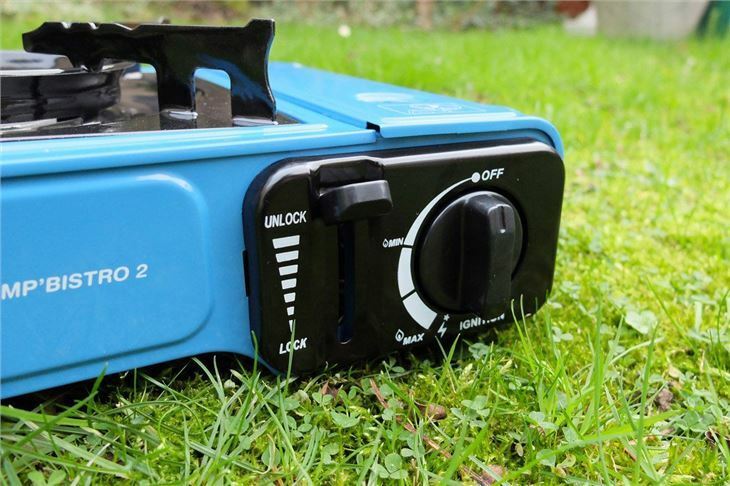 If you want a simple to use stove for camping, the Bistro 2 is ideal - it takes a few seconds to set-up, lights first time and heats quickly, plus it's very stable which is ideal if you're using larger saucepans. The gas canisters don't last particularly long, we reckon on about 10 kettles of water or four decent meals on one canister, but they're cheap enough to buy (four will set you back around £7). A quick look on Amazon reveals there are plenty of very similar one burner stoves around - and at a cheaper price than the Campingaz version. But delve into the reviews and you'll find these aren't built to the same quality. We think it's worth spending a few extra quid to get a brand you recognise, especially when you're dealing with something that runs on gas.